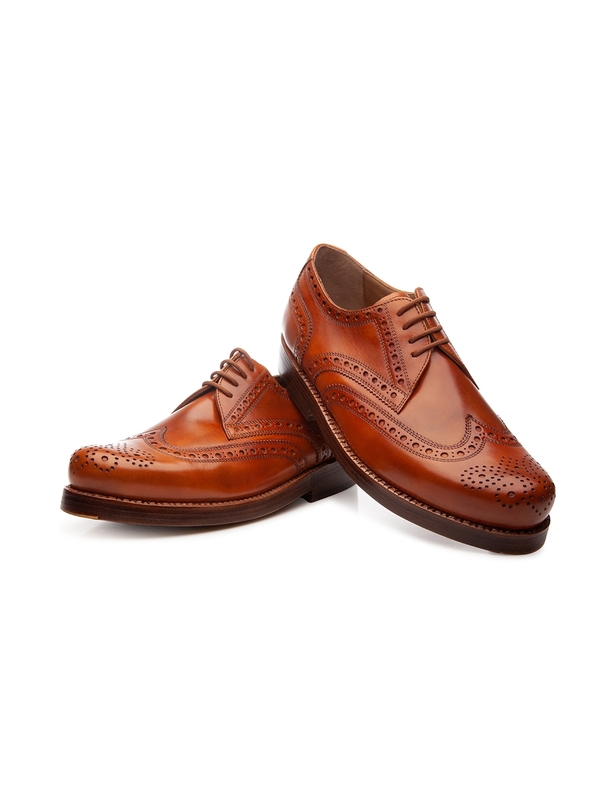 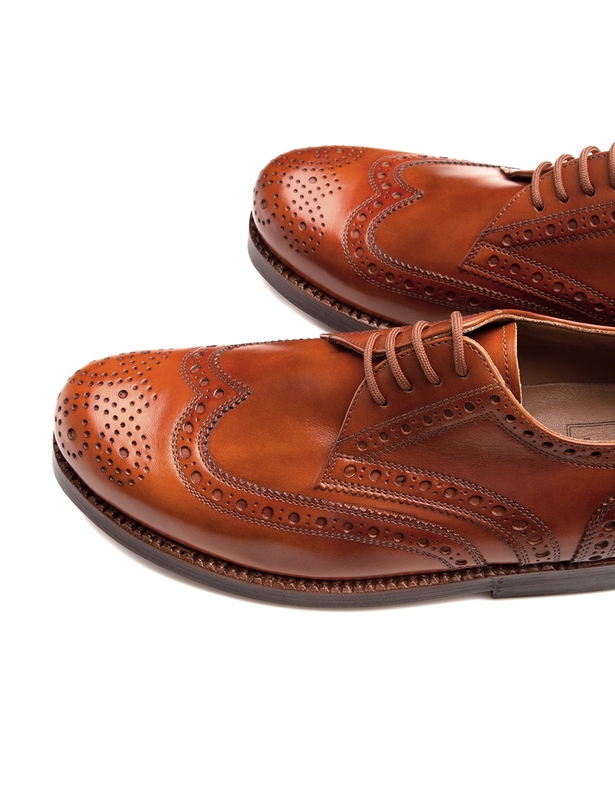 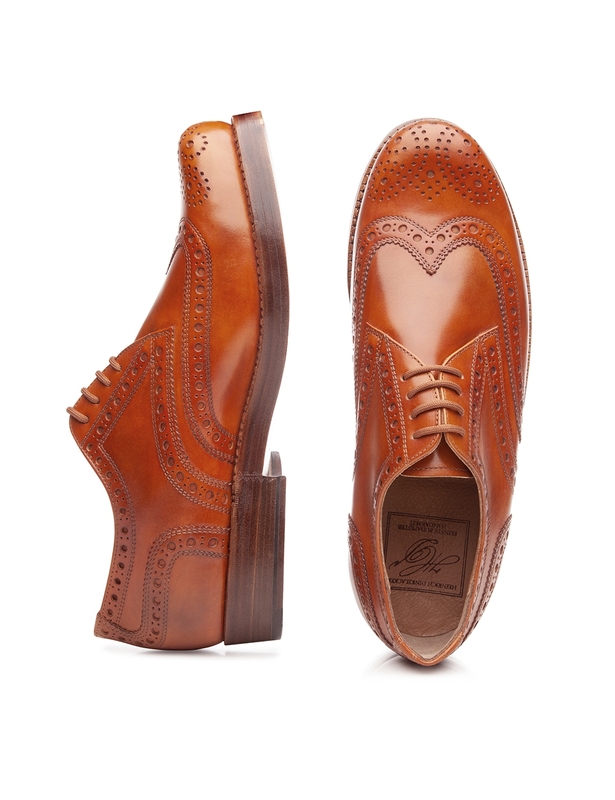 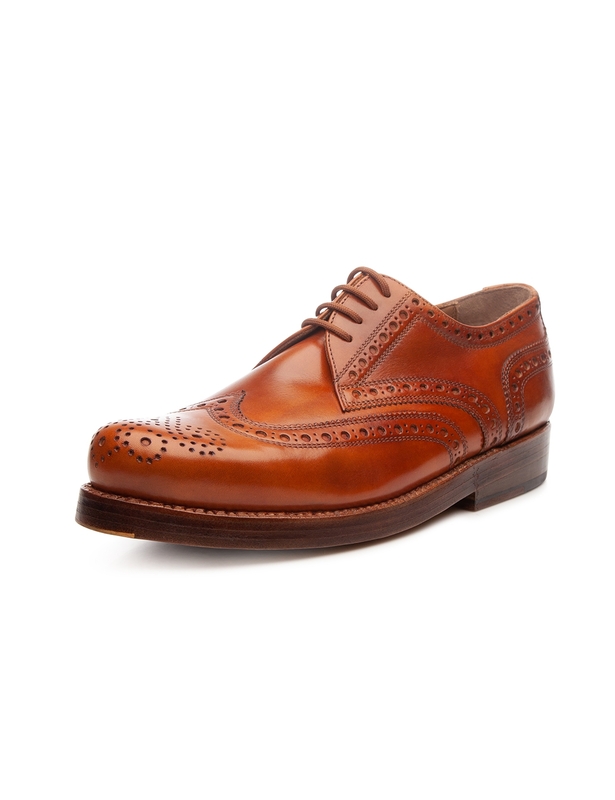 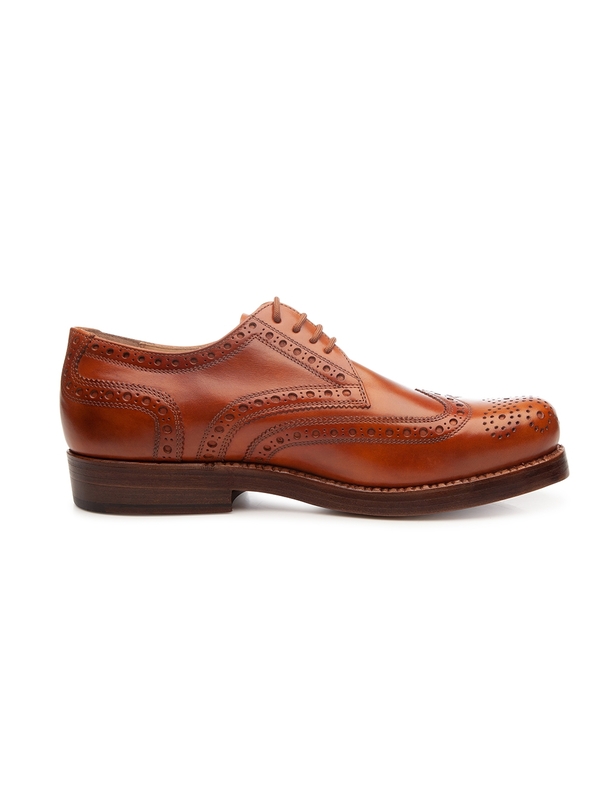 This sewn-welted classic men's shoe impresses with its extremely supple upper leather and elaborate decorative elements. 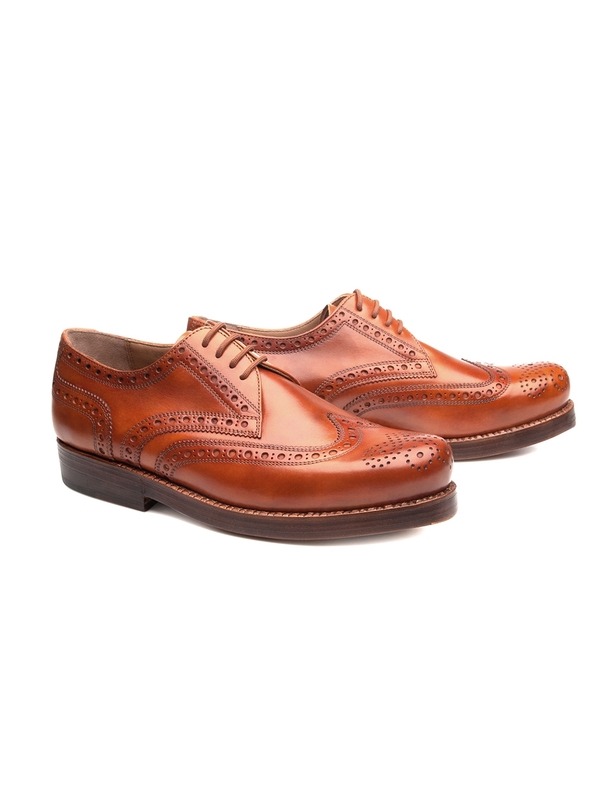 Handcrafted in accordance with Budapest tradition. 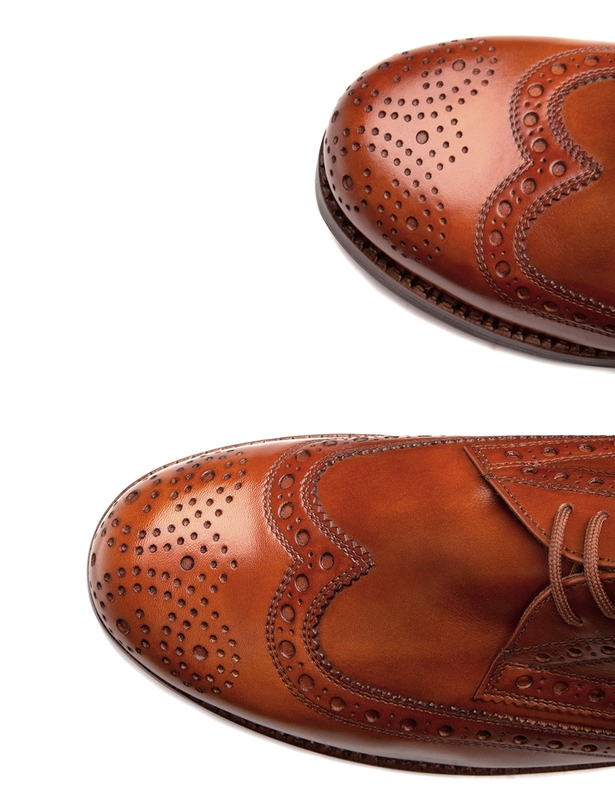 The detailed Lyra perforations along the edges of the shaft and the wing and heel caps underline the dynamics of this men's lace-up shoe. 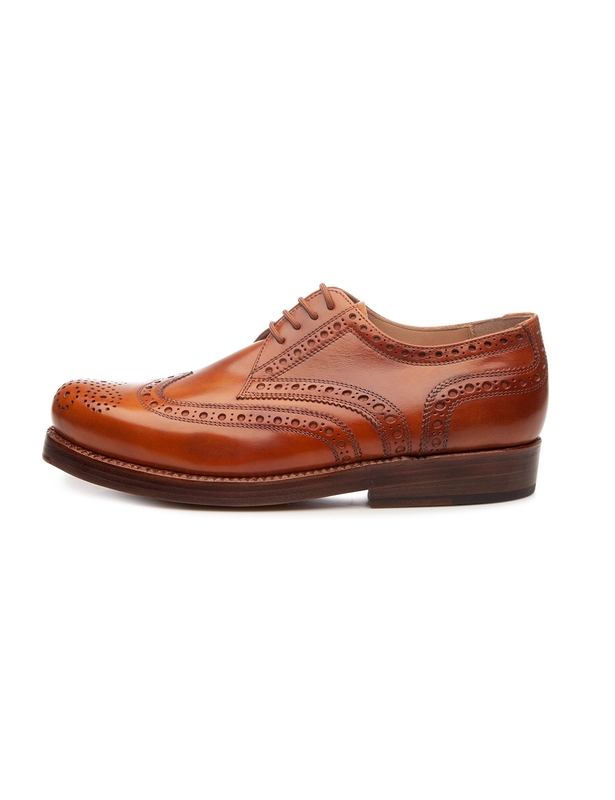 The Tuscan Calf is extremely supple and indulges the wearer's feet with its soft texture. 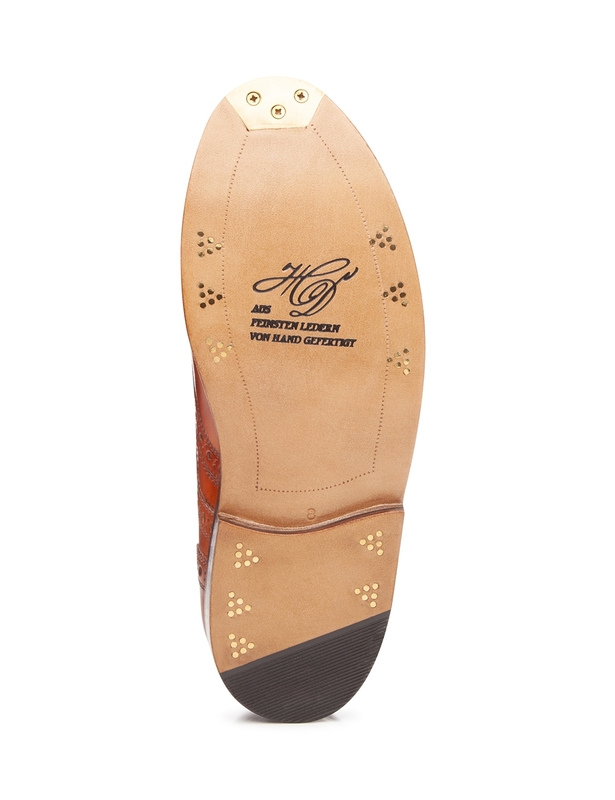 The Rio last used in the elaborate production process also provides ample space for the feet.